Keno is a pick-and-match number game with balls numbered 1 through to 80 utilised. In almost all keno games, a total of 20 randomly selected balls are drawn from the 80, with the aim to match as many of our chosen numbers with the drawn numbers. The more numbers you match, the more you can win. Numbers you match are referred to as ‘catches’. In 2016 you can play many different variants of keno, at both land-based pubs and clubs, and online, where reputable online gambling sites accept players from Australia. OnlineKenoSite.com is the #1 guide to online keno on the web and we aim to provide a free and comprehensive service, including strategy guides. Please contact us with any ideas or feedback about our website. First things first, you will usually find keno forms on tables, or at the dedicated keno window where you are playing. After you have got one of these the next stage is to mark the numbers you wish to select, as well as how much you want to bet and how many games you wish to play. The more numbers you choose the more cash you can win, but it also lengthens the odds of a victory. Most jackpots are claimed by playing 10 numbers. Each venue (this could be dictated by the state authority) or online host of a keno game will set specific pay scales (known as ‘paytables’) which reflect the payout for how many of the player’s chosen numbers match the randomly drawn numbers, with regard to the wager amount and the amount of numbers the player decided to select. For example, selecting 15 numbers and matching seven of those with the 20 randomly drawn numbers may net you a return of 5:1, and if you placed a $20 wager for that game, you’d win $100. After you have chosen your numbers and submitted your card, or the online equivalent, all you have to do is sit back and wait for the game to begin, or the numbers to be drawn. Keno paytables will vary from venue to venue and site to site, affecting the house edge significantly. This is why it is important to find games which hold strong pay scales and low house edges. House edges can ranges from anywhere between three per cent to well over 35 per cent. In Australia keno is everywhere and is fully regulated in land-based venues by Tatts and Tabcorp, the two massive wagering companies. These companies have what is known as a monopoly in the states they operate in and no one else is allowed to provide keno to citizens. Following Intralot’s abandonment of its keno and scratchies business, Tattersall’s is now the sole proprietor of daily keno games for Victorian and Tasmanian residents. SA Lotteries host games within South Australia, with around 600 retail agencies throughout the state selling tickets. SA Lotteries also syndicates games to the ACT. Results of keno games are available to view online at PlayKeno.com.au and Tatts.com. #1/ Lottoland – Lottoland has taken Australia by storm thanks to its unique online lotto betting service, which is where you bet on the outcome of a lottery instead of buying tickets to the actual lottery draw. Players pick numbers just they would on a lottery ticket, and are paid out if you pick the winning numbers correctly. With access to overseas lottery draws like the US Mega Millions via this unique form of online lottery betting, there are some seriously huge jackpot prizes up for grabs for Australians – and it’s fully licensed in the Northern Territory. Read our full Lottoland review. #2/ OzLotteries is an authorised online lottery ticket retailer where you can buy tickets to all major Australian lotteries and charity lotteries via their desktop or mobile site. They are licensed and supervised by the Australian government to sell tickets for all lotteries run by our biggest groups such as NSW Lotteries and Tatts Group. Read our full OzLotteries review. #3/ Planet Lottery is a special online lotto platform from online bookmaker William Hill. It lets Australians with a William Hill sports betting account bet on the best lotteries in the country and around the world, as an acting agent for Lottoland’s services. While you can bet directly at Lottoland rather than the middleman, the Planet Lottery service and interface has many distinct advantages that certain types of Aussie punters can take full advantage of, including some neat bonuses. Read our full Planet Lottery review. For overseas players (not Australians), real money online casinos host numerous variants of keno with superior pay scales than their land-based counterpart keno games. Offline, the large majority of keno games are computer-generated and have numbers drawn by random number generators. Unlike land-based social bingo games, keno games rarely have genuine ‘callers’ call out randomly drawn numbers from a hopper/barrel of balls. Maybe somewhat ironically, online keno allow for both formats – RNG and live caller games. Games such as Instant Keno Keno, Bonus Keno, Klub Keno, Krazy Keno and Traditional Keno all use fair and regulated random number generator software. Over the years there have been several live dealer keno games spring up. Which as you can imagine is a video feed of a keno draw. One popular one is by Ezugi but unfortunately there are no online casinos we currently endorse which host this game, possibly because the software company has withdrawn it from their catalogue. Live dealer keno sticks to the traditional keno format, while some of the RNG-powered titles include jazzed-up hybrid versions of this favourite pastime. #1/ All Slots Casino – A casino, powered solely by leading software developer Microgaming, has a handful of real money keno titles. Is a member of the renowned Brightshare affiliate program. The wagering requirements on the welcome package can be cleared by playing keno. The two bonus options are a $5 no deposit bonus which you can claim by simply signing up. The other is worth $1600 in matched bonuses, over the first four deposits you make. 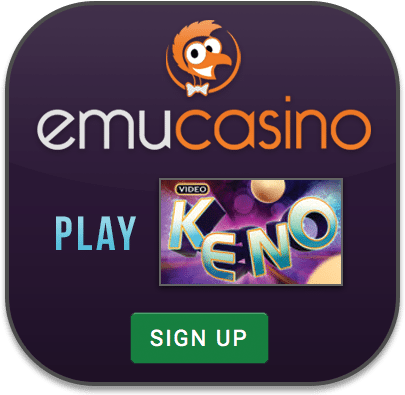 #2/ Emu Casino – Has five different variations of online keno and gives all new customers $3 to try their games before depositing. A great place to play online keno casually, and a swag of other online casino games, including similar titles like bingo, scratchies and online lotto. Another with two options. You can claim a $3 no deposit bonus. Plus when you make your first deposit you will receive a 100% match bonus, up the value of $100. 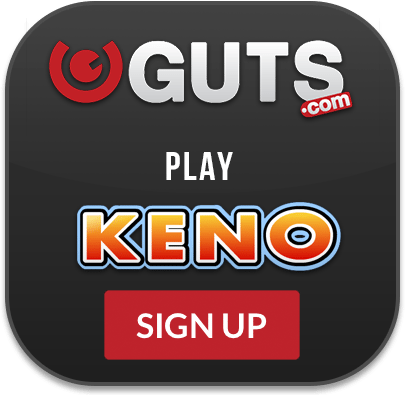 #3/ Guts Casino – Has two different variations of online keno. All new customers get up to $400 in matched deposits and 100 free spins on your chosen online pokie machine. Gives all players a matched bonus up to $500 plus 100 free spins on a Net Ent slots. 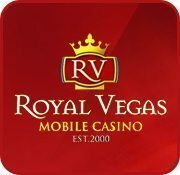 #4/ Royal Vegas Casino – A popular Microgaming-only casino with a couple of versions of Keno and plenty of other games, including blackjack, baccarat, poker, pokies, scratchies and more. RV gives all new customers up to $1200 in bonus bets. How do keno bonuses work? Keno is one of the games that will clear bonus wagering requirements 100% at online casinos, or keno sites. For the uninitiated a casino bonus is usually given in the form of a matched deposit. For instance you might deposit $100 and have it matched 100%, meaning you will have $100 real money and $100 bonus to bet with. The wagering requirements might be that you have to wager the bonus 35x before you can withdraw it. This means you have to turn it over with $3500 worth of bets before the bonus becomes real money. Slots, scratch cards, keno and parlour games are the types of games which usually clear these wagering requirements 100%. Table games may only clear the bonus at a very slow rate so it is advised not to attempt to clear wagering requirements with these games. While keno is our bread and butter at this website, to our knowledge there are no dedicated keno websites. This means online casinos host many different games on top of their keno offerings. At the top of the list for Australians are pokies games which are readily available at 1000s of different online casinos. Other popular games at online casinos include blackjack, baccarat and roulette. The popularity of online pokies is showcased by the clubs and pubs across the country kicking up a stink about offshore wagering impacting their bottom line. They make the big bucks through punters playing pokies, not from drinking or eating meals. From classic pub fruit machines with three reels to advanced video slots with five-reels and a host of interactive gameplay features, to 3D animated and stereoscopic pokies with immersive graphics and progressive jackpot games with millions of dollars of prize money up for the taking, there’s a ton of different types of pokies to suit any mood or preference. 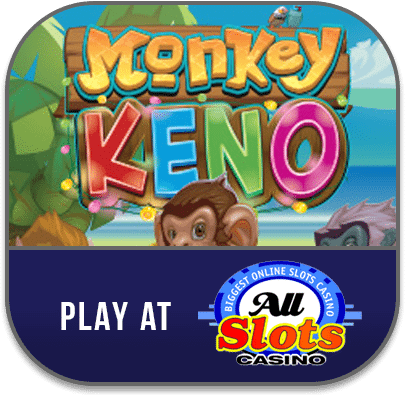 The keno sites we recommend host online pokies games from leading gambling software providers like Microgaming, Net Entertainment, BetSoft, NextGen/NYX Gaming, Thunderkick, and Rabcat. All are well known for fair and responsible gambling and high payouts to ensure Australian punters get their moneys worth each time they play. In Australia the only places to play table games are at the casinos, or on electronic games at select clubs. Online there are many great venues to play live dealer or RNG games. Live dealer is where you have a video stream on your PC, tablet, or smartphone of a person dealing out your cards. You choose your chip denomination and place your bets on a table which is rigged up to allow you to click and place bets via your device. Random number generated games are powered by computers and completely random. They work in much the same way as live dealer, you just don’t have a pretty face sending down your cards. It’s important to note you will often get a better house edge on RNG games because the overheads are lower. Some of the more popular online live dealer card games to play include blackjack, roulette and baccarat. While niche games like Casino Hold’em and Pontoon are also available at some casino sites. Keno in pubs and clubs is 100% legal and regulated in Australia. Like we have touched on some of our biggest gambling companies have the rights to the game in each state. Online keno is a relatively new thing and is not really covered by Australian law. No one has ever been charged with playing at an offshore site supplying keno products. The laws simply say that it’s illegal to run a online casino from within Australia. The team at KenoSites.com.au is made up of Australian journalists and editors, all dedicated to providing keno enthusiasts with up-to-date and informative details about this entertaining game which has made a seamless transition to the world of online gaming. If you even feel inclined to get in touch with us, leave a comment on the appropriate page, and we’ll get back to you as soon as possible.